The Réseau express métropolitain is the new automated electric light rail public transit system in the Greater Montreal area. 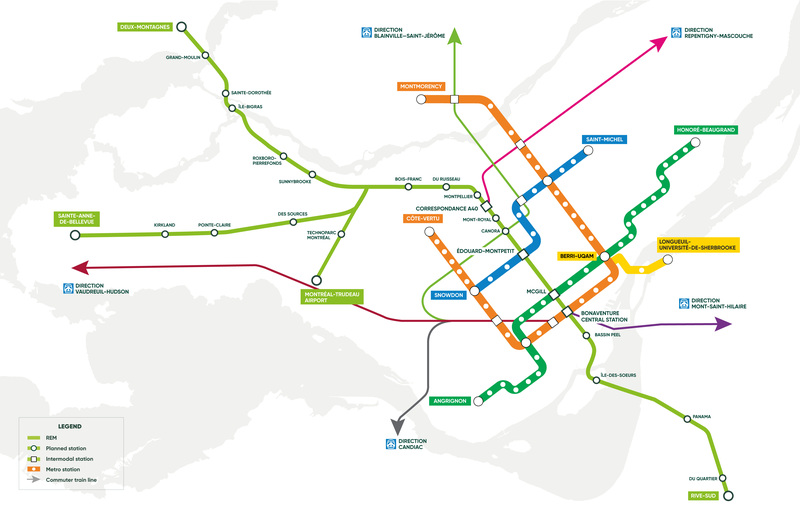 Covering 67 kilometres linking downtown Montreal, the South Shore, the North Shore, the West Island, and the airport, the REM will consist of 26 stations, including three intermodal stations connected with the Montreal metro system. The two REM stations in Pointe-Claire will help transform our City Centre while respecting sustainable development focused on active public transportation, as well as mixed uses (residential, commercial, business, or industrial). Residential complexes that will be developed in these areas will meet new housing needs for young people, families, and seniors while increasing the number of local shops, businesses and workplaces. The City must work in conjunction with the Agence régionale de transport métropolitain (ARTM), the Caisse de dépôt et placement du Québec (CDPQ), and the Agglomeration of Montreal in order to ensure that developments in terms of urban planning, roads, and active public transit give everyone easy, safe, and harmonious access to both new stations. The REM will be financed in part by new transportation dues imposed by the Autorité régionale de transport métropolitain (ARTM) within a radius of one kilometre around the two stations planned in the City of Pointe-Claire. The transportation dues are collected when the City issues a permit and are given entirely to the CDPQ, which is promoting the REM. The financing target is $600M or 50 years. Dues have been payable since May 1, 2018, when a permit is issued. 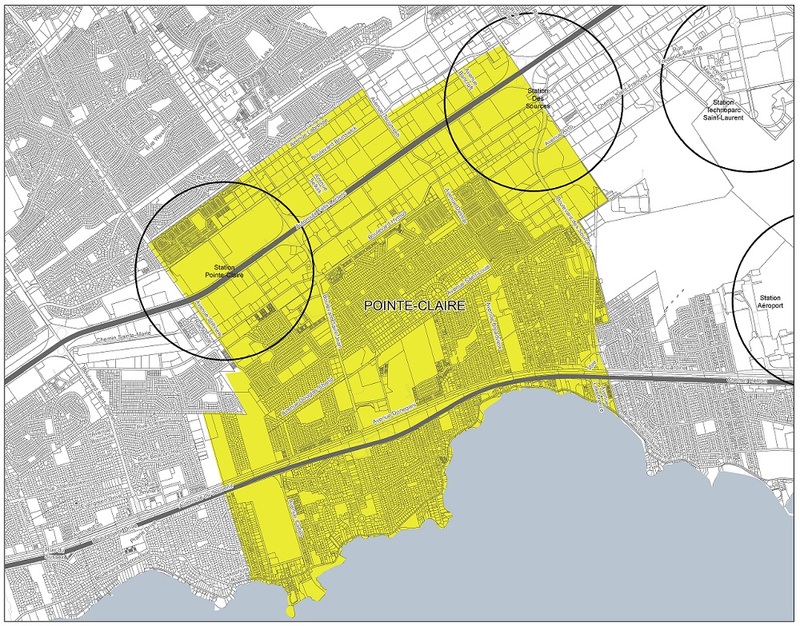 Any building located entirely or partially within the zone with a radius of one kilometre is subject to transportation dues. Redevelopment of a building including a change of use, even partial.